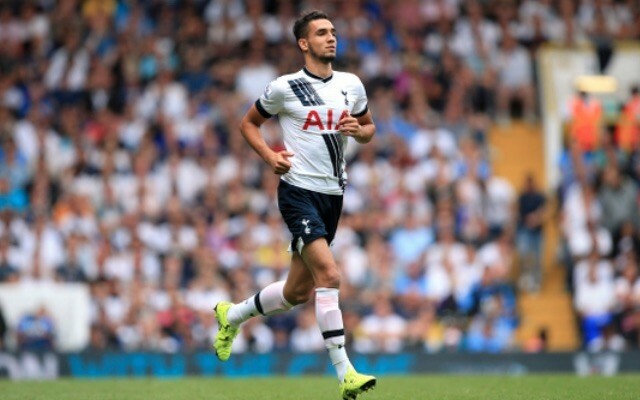 Schalke midfielder Nabil Bentaleb has shared a few thoughts on his time at Tottenham, and they won’t impress the club’s supporters. The Algerian international is currently on loan with the Bundesliga outfit, who have an option to buy him in a permanent deal next summer for £17m, as noted by The Mirror. Schalke currently sit in 16th place in the standings after a poor start to the campaign, but he has insisted that he remains pleased with his decision to quit Spurs. Further, he has blasted the fickle nature of the supporters, and if there was a slim chance of a return to north London, he has probably erased it with his latest comments. “Even if Tottenham were on top of the league, I would not regret my transfer,” he said, as noted by The Mirror. “They believe in me at Schalke. I made this decision, and a few defeats won’t change anything. We fight and I believe that’s also the reason that the fans support us. Having started just two Premier League games last season, the 21-year-old has undoubtedly made the best decision for his career as he would have continued to struggle for regular football with Mauricio Pochettino adding further competition for places in midfield over the summer. Dele Alli, Eric Dier, Victor Wanyama, Moussa Sissoko and Mousa Dembele amongst others are all vying for places in the team this season, and so Bentaleb would certainly have grown frustrated if he had stayed. Nevertheless, despite the team’s impressive start to the campaign, with Pochettino’s men sitting in second place after seven games with five wins in seven matches, it doesn’t appear to have done much to make Bentaleb regret his decision, as despite the fact Schalke have lost five of their first six games, the Algerian ace has featured in all six outings and is still happy with his decision.